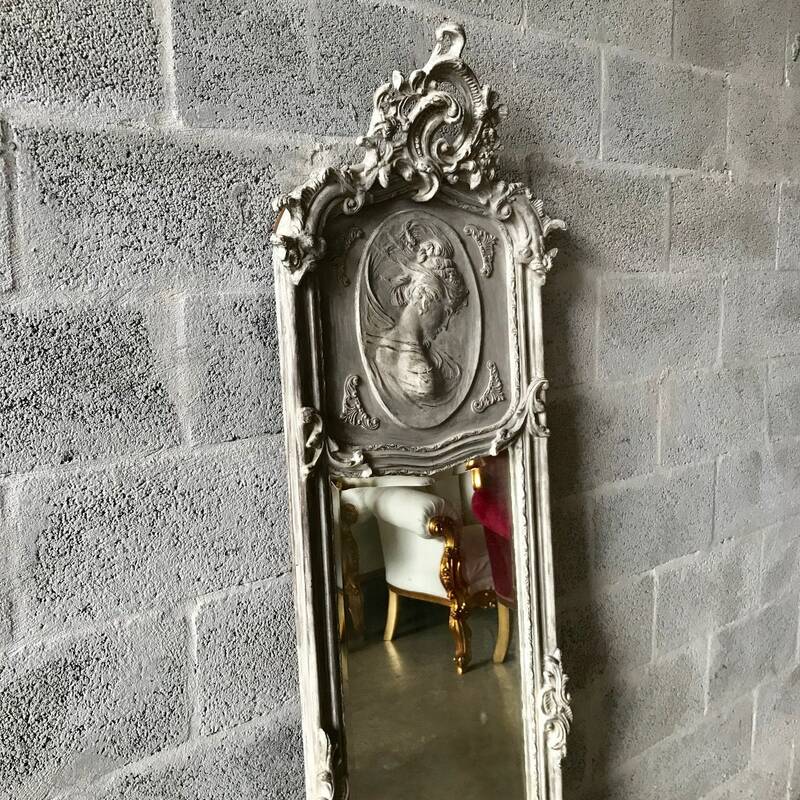 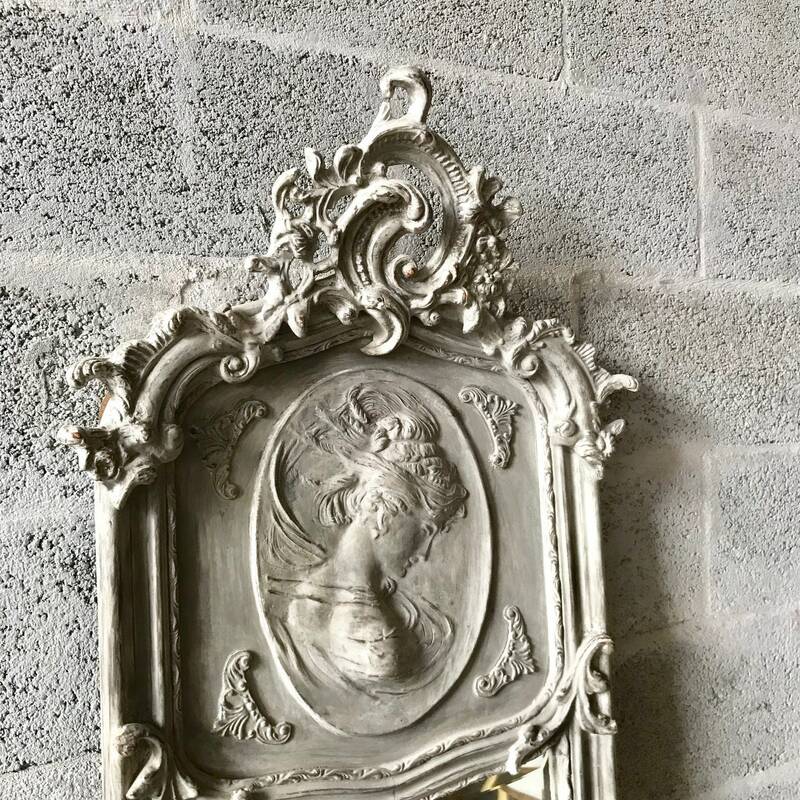 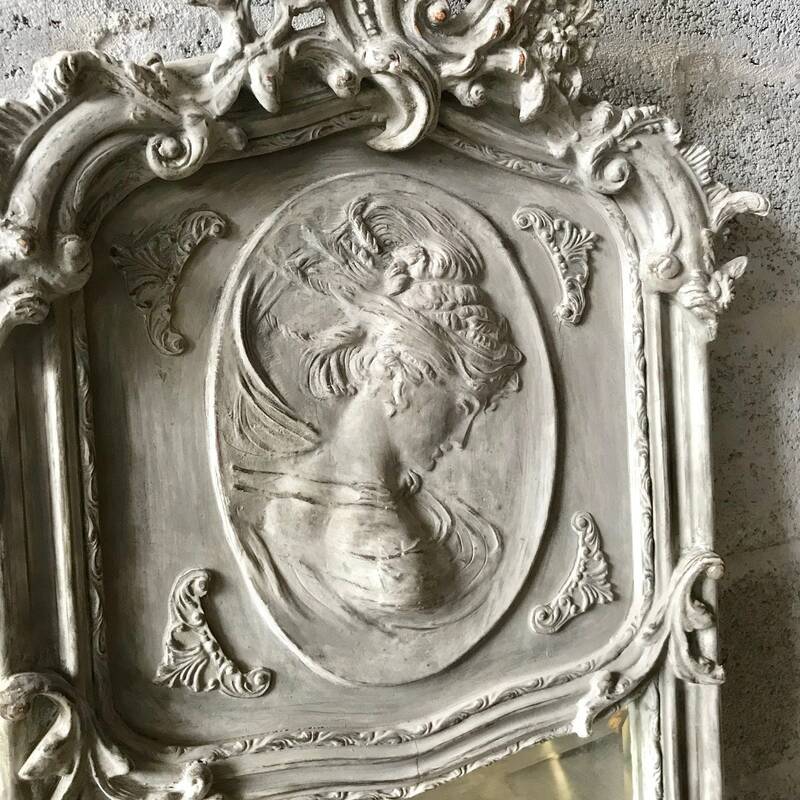 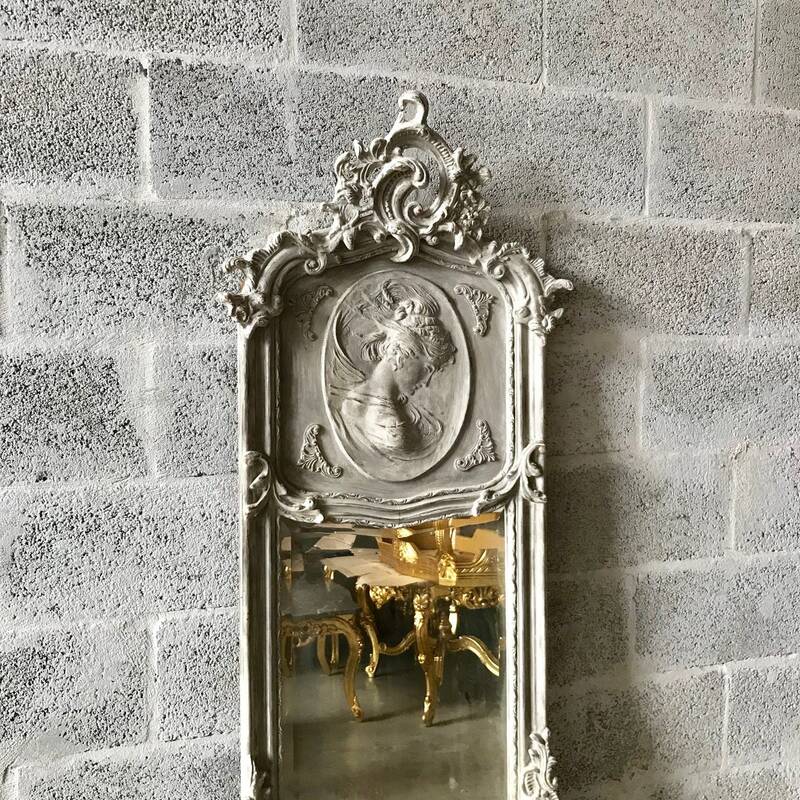 Lovely French Wall Mirror showing a beautiful hand carved woman face in mat gray color. 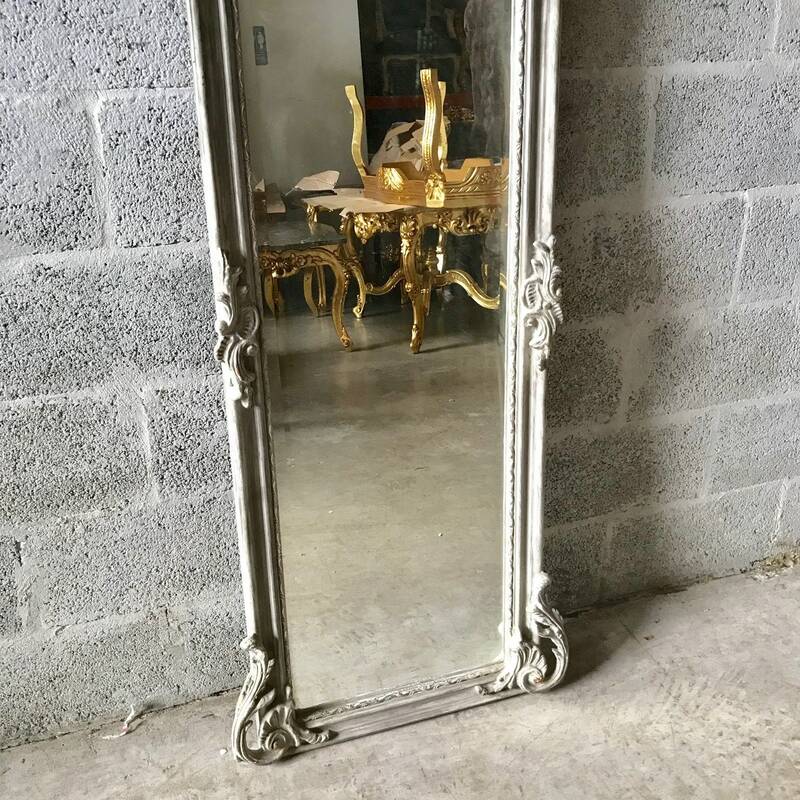 This mirror can also be used as a floor mirror as you can see in this pictures. 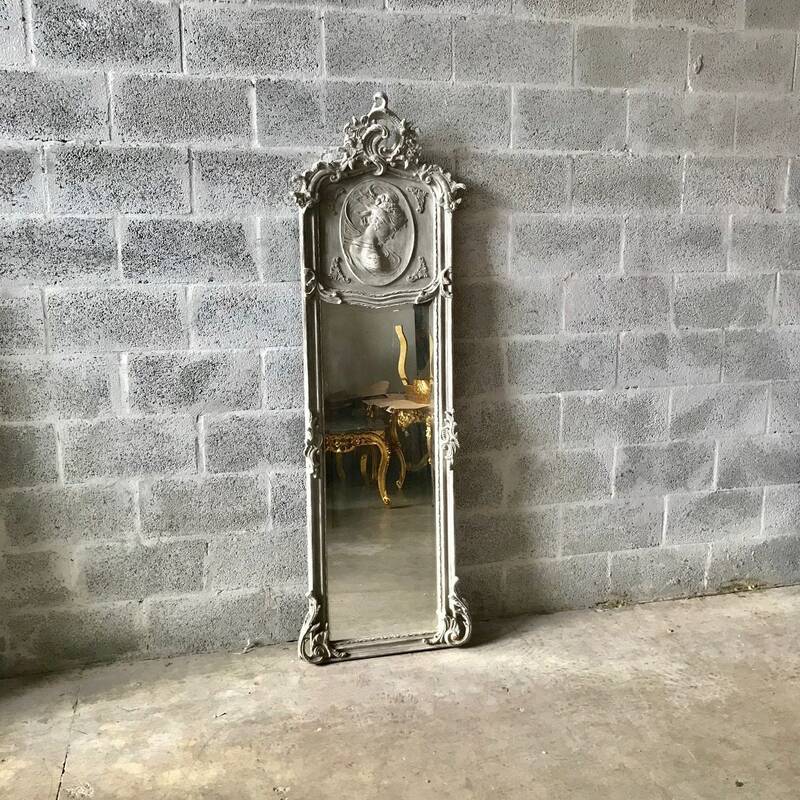 This mirror is almost 6 feet tall measuring 70"H x 19"W x 5"D from the tip of the mirror.